Chandler’s Roofing, a nationally recognized roofing and solar contractor servicing Los Angeles and Orange County, California announced today the acquisition of Orange County roofing company, Handley Development, Inc., as well as the appointment of Trevor Leeds as Partner and President. Chandler’s Roofing, a nationally recognized roofing and solar contractor servicing Los Angeles and Orange County, continued its outstanding growth in the Southern California roofing market by announcing today their acquisition of Orange County roofing company, Handley Development, Inc., as well as the appointment of Trevor Leeds as Partner and President. Trevor had been working with Chandler’s Roofing over the last year and a half in a consulting role and was instrumental in the tremendous growth and success the company has had in that time, including being named the Residential Roofing Contractor of the Year by Roofing Contractor Magazine in 2011, “Best of the Best in the Roofing Industry” in 2012 and a third consecutive Angie’s List Super Service Award. Prior to coming aboard Chandler’s Roofing, Mr. Leeds served as an investor, advisor and consultant to several roofing company start-ups, including Eagleview Technology, ArmorLite Roofing Technology and RoofersCoffeeShop.com and has worked closely with many of the top companies within the roofing industry. Trevor’s roofing industry experience and strategic marketing efforts have built an impressive reputation with partners, manufacturers, distributors and clients including GAF, Boral, IB Roof Systems, G&F Roof Supply, Pacific Supply and OneRoof Energy. “The bulk of my professional career, I gravitated toward building lasting relationships as foundations for partnerships. Getting to know the people as well as the value proposition for a strategic partnership are often equally important, especially in a niche industry like roofing and solar. Along the way I have had the privilege of connecting with some great people and built some terrific relationships that will serve Chandler’s Roofing well. 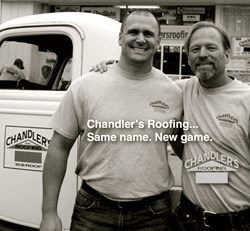 Brian has done a terrific job of laying the foundation for Chandler’s Roofing and when he approached me about joining the company, he presented me with a terrific business, with an outstanding reputation in which to build upon,” Leeds said. “Trevor has always had a genuine interest in growing businesses within the roofing and solar industry.  We are excited that not only will he help grow Chandler’s Roofing, but that same passion will help serve our manufacturing partners in growing their products and services to our dedicated client base,” stated Brian Hicks, CEO and longtime Owner of Chandler’s Roofing. Adding to their explosive growth in 2012, Chandler’s Roofing acquired local Orange County roofing company, Handley Development, Inc. “The acquisition of Handley allows us to restructure and better position Chandler’s Roofing for expansion in the Southern California region, particularly the Orange County area. Orange County is an area we have served for years, but never directly marketed our roofing, solar and rain gutter services to. This acquisition will add to our already strong roofing business in Los Angeles County, while better positioning our company to service additional roofing and solar clients in Northern OC communities such as Newport Beach, Costa Mesa, Huntington Beach, Los Alamitos and Seal Beach,” commented Leeds.